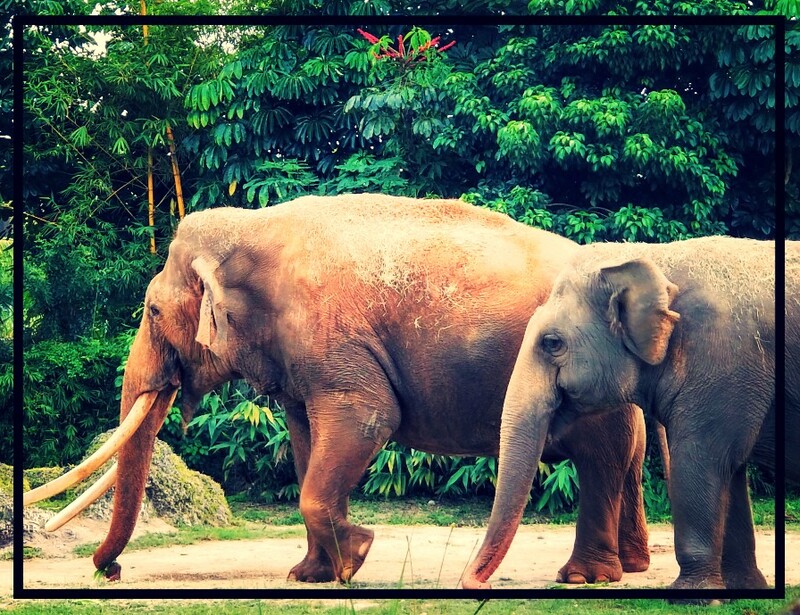 Asian Elephant Support is delighted to announce the addition of a new director to our board, growing our number to a magnificent five in total! Seriously, our board grows slowly and carefully, and our new director, Janet B. Dray, is an addition each present director is thrilled to welcome aboard. Janet's hometown is Dallas, Texas, so she is in comfortable territory with Vanessa and Turk. Linda met Janet through the Elephant Managers Association conferences and she and Janet did Kenyan safaris together in 2017 and 2018. When you can travel 24/7 for three weeks as roommates, you have a pretty good idea of another person's personality, temperament, and capability. Janet has a BSEE and MSEE - electrical engineering and worked for 30 years in new product development at Xerox Corporation. She started zoo work at Seneca Park Zoo as a docent (including live animal presentations) evolving into a zookeeper volunteer. After retiring from Xerox she became a Zookeeper at Seneca Park Zoo, working with elephants, primates, and rhinos. Now, really retired, she's stepped up to join the board of Asian Elephant Support and will help us as we continue to grow in coming years. This past October, AES board members Linda and Vanessa attended the 30th annual Elephant Manager's Association (EMA) conference in Miami, FL. We enjoyed two days of papers about all things elephant, with president Linda presenting on the last day covering our project updates. Zoo day was spent at the luscious Miami Zoo and one would think it is half botanical garden with all the gorgeous blooms everywhere, even in mid-October. That evening at the awards ceremony Linda won a cash raffle and donated the proceeds right back to AES. Every year we are thankful to meet new people, see old friends, and catch up with colleagues regarding range country news. Anabel from the ECC in Sayaboury attended and presented so we were able to chat with her about their progress and elephants in person. Many of our supporters are members of the elephant community here and were also in attendance. On to Denver next year to see their bachelor Asian elephant herd in the Mile High city! Asian Elephant Support has been privileged to have Little Rock Zoo’s support for almost as long as we’ve been AES! 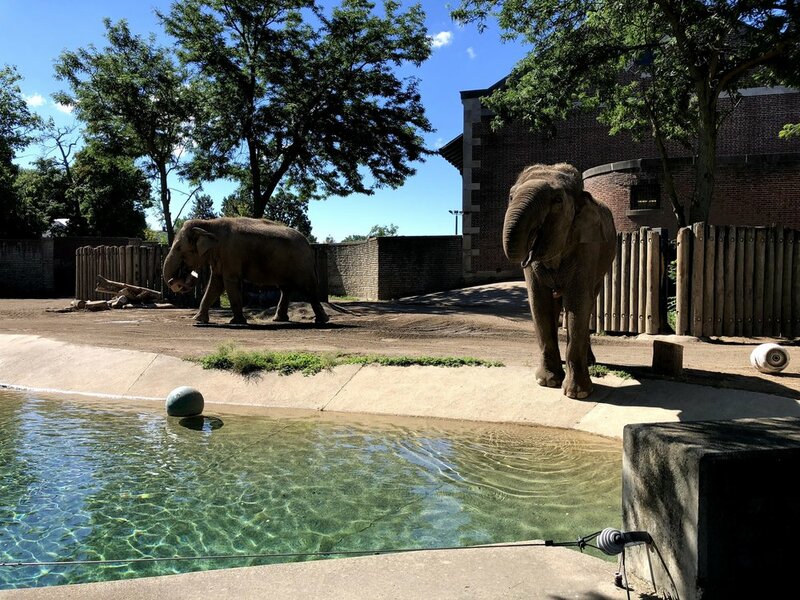 This year Linda and Carl again headed to Little Rock, Arkansas, to spend Elephant Appreciation Weekend with Zina, Sophie, Babe, and their caregivers: Kristin, Johnny, Justin, Ellie, and Lauralynn. Linda also has a special fondness for black rhinos Johari and his mate Andazi, so being able to spend some time with them is also a ‘must’! However, this year, the weather decided to be totally wet. It is a real shame when elephant keepers do their full, busy job and then put so much of their own time into preparing for a special event – with the goal being to help Asian elephants in range countries – and get rained out. We did have a good half day on Saturday and Linda turned the rainout into a rainbow by visiting AES adviser, Heidi Riddle, who lives not too far from Little Rock.